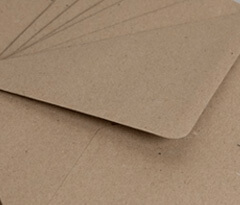 From standard C5 and C6 envelopes to bespoke 70 x 100mm envelopes, we have them all. 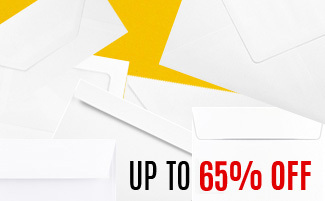 Make Ideal Envelopes your first port of call for all your envelope needs. 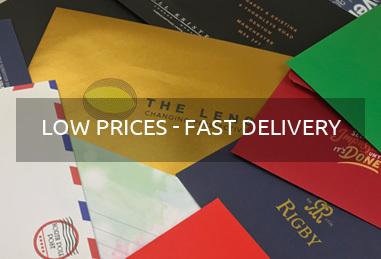 With our overwhelmingly low prices, Ideal Envelopes is well known for having the highest quality envelopes at the very best prices. We are constantly adding to our wedding and luxury envelopes. The very best in greeting card envelopes made from the best papers available in the UK. Perfect for that very special occasion. Ideal Envelopes Limited is a web based e-commerce company. 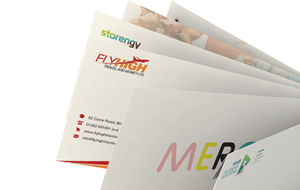 We are a market leader in the supply of envelopes. An extensive range of colours, sizes, finishes and textures are held in stock at our Sheffield, UK warehouse. With our easy to use web site and online ordering system, Ideal Envelopes has become the number one choice for the supply of Greeting Card and Business Envelopes. Stock envelopes can be dispatched quickly and efficiently direct to our customers. 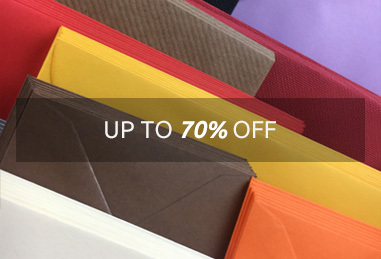 Ideal Envelopes have one of the most extensive ranges of coloured greeting card envelopes and business envelopes available online today, from small gift tag envelopes through the range to the ever popular and very traditional C5 envelopes. This range includes delicate pastel shades, and proceeds through the spectrum to the strong bold deep colours that really make a statement about your latest communication. 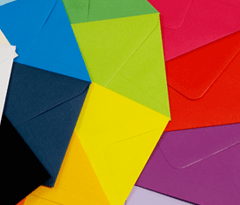 The envelope is as important as the message it contains, make sure you make the right statement and use a coloured envelope in your next mailing. Square envelopes have become extremely popular over the last few years, Ideal Envelopes have endeavoured to provide the largest possible range of square envelopes available online today in gummed and peel and seal format. 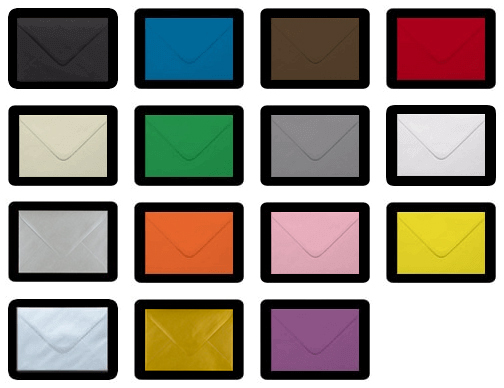 A select range Peel & Seal Envelopes are available online from Ideal Envelopes in a choice of colours and grammages. The latest addition to this range is our Ultra White 120 gsm envelopes, quality at a very affordable price. 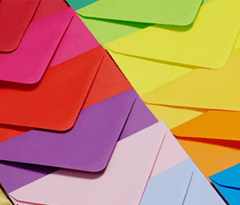 Within our range of pearlescent, textured, luxury and coloured envelopes, Ideal Envelopes is certain to have just the right envelopes for that very special event. Why not create your very own wedding invitations and add your very own touch of style to those very important invites for your special day. Browse through our categories and be inspired. See why our customers are smiling! 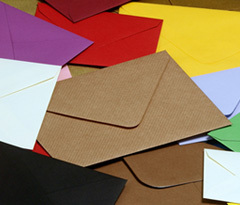 Ideal Envelopes is a market leader in the supply of high quality envelopes. All the envelopes supplied by Ideal are made from a sustainable or recycled source. We select our envelopes from the best sources in the UK and abroad. 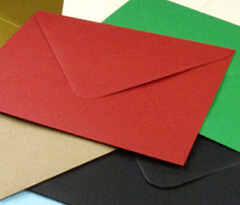 Ideal Envelopes is constantly updating and adding to it's coloured, pearlescent and metallic range. 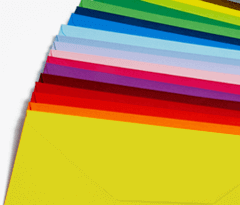 With over 30 different sizes available in a variety of shades, textures, grammage and massive colour range, Ideal Envelopes is certain to have the product you are looking for. New additions to the range are usually based on customer demand and requests. 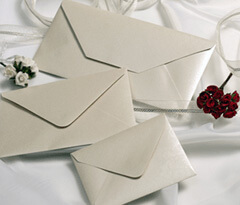 Our snow white range of envelopes was added to our pearlescent category aimed at the wedding market. 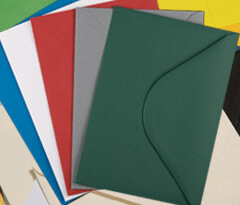 Ideal Envelopes know that a customers choice of envelopes is very important. It is as important as the message it contains. Choose the right envelope to make the right impression, remember it is the first impression that counts.